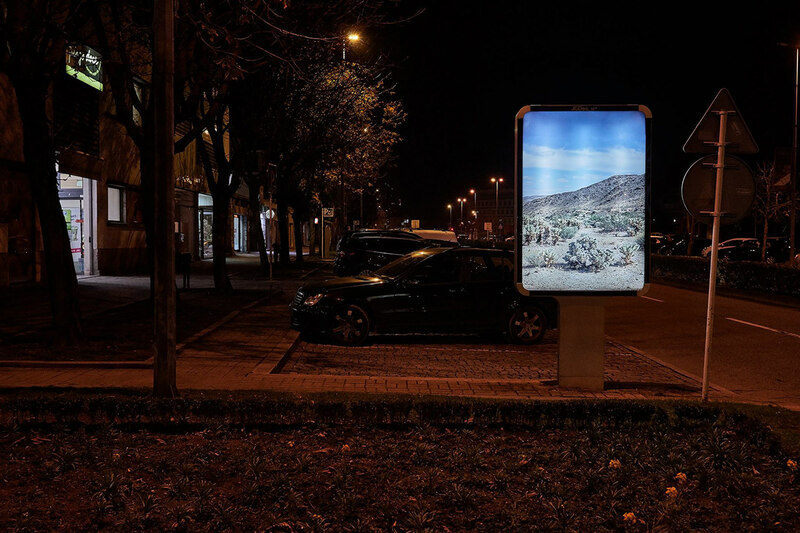 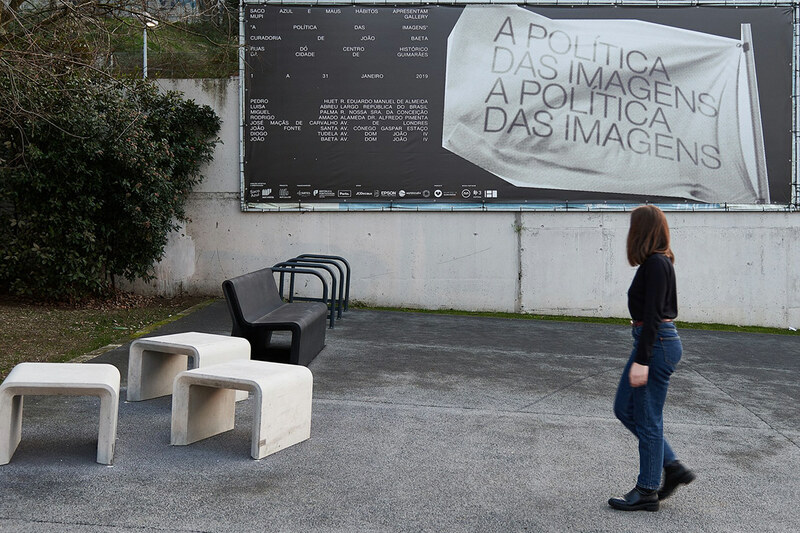 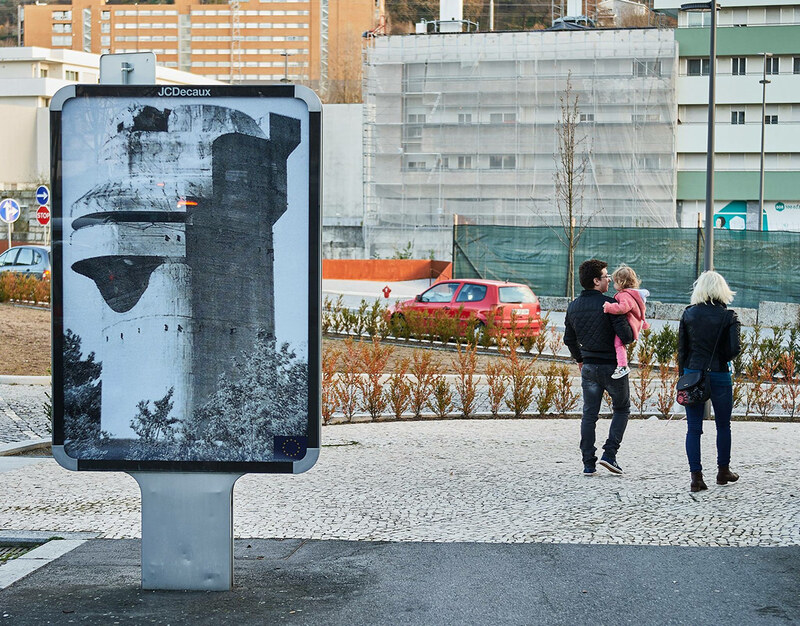 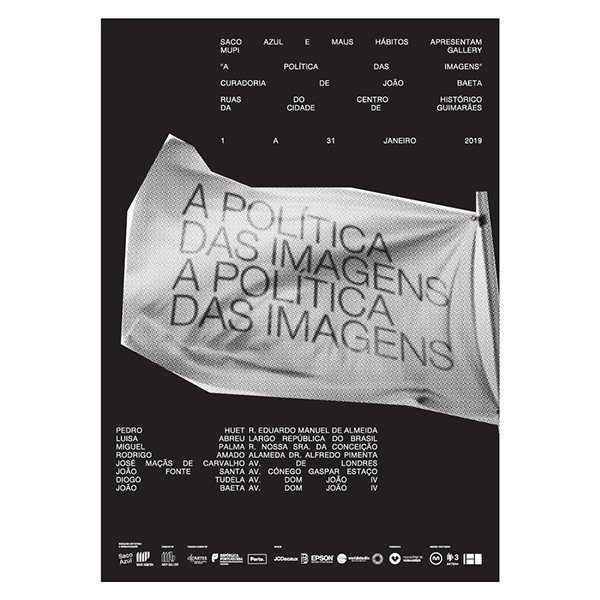 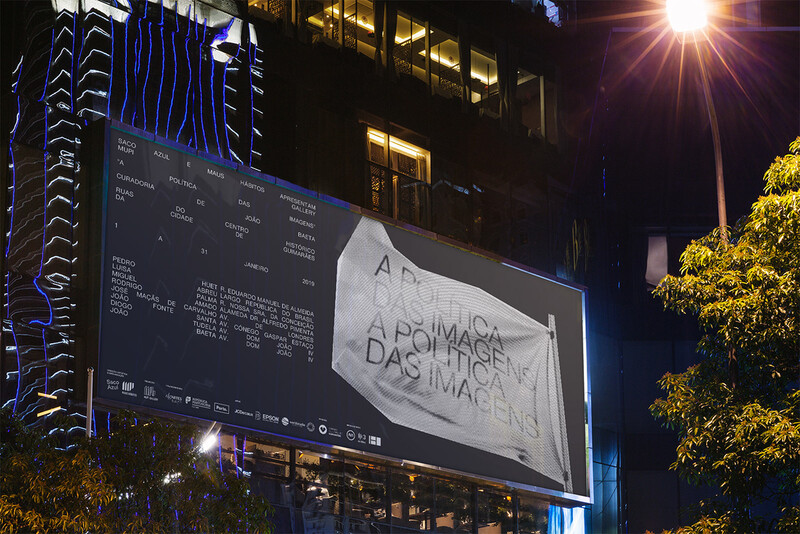 “A Política das Imagens” (The Politics of Images) was an art exhibition presented in Guimarães, Portugal, from January 1st, until February 28th 2019. 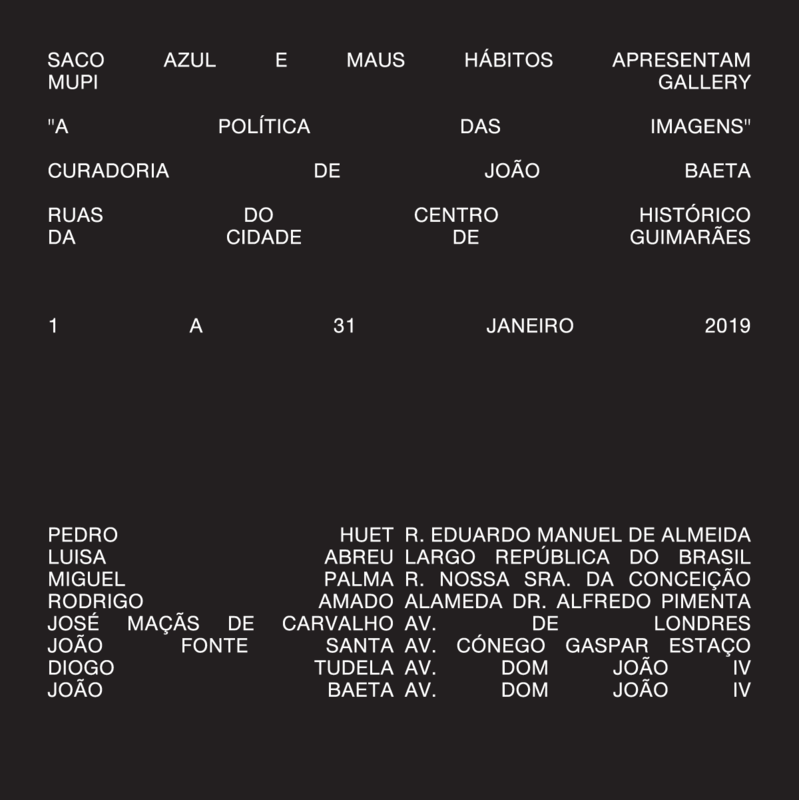 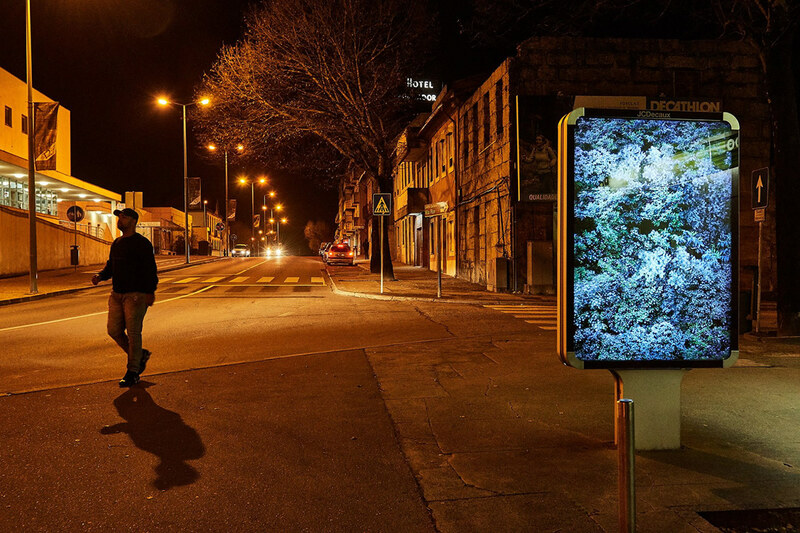 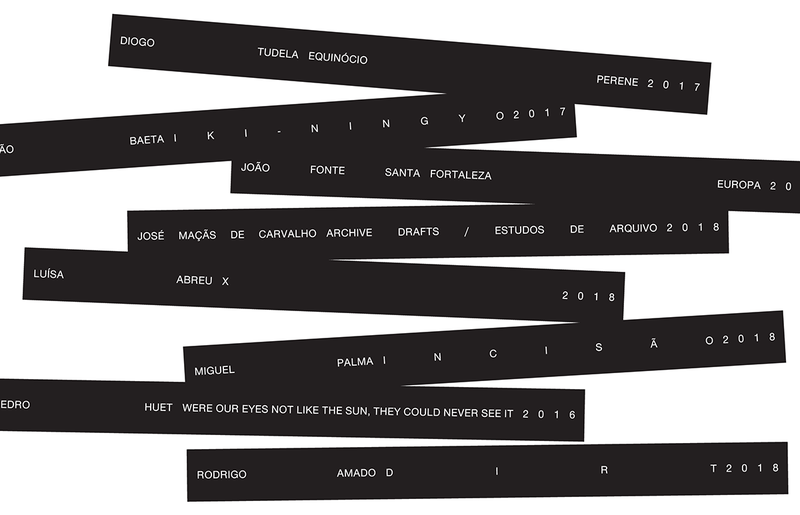 Curated by João Baeta and produced by Saco Azul / Maus Hábitos, Porto, it featured works, in the form of street mupies, developed by 8 artists. 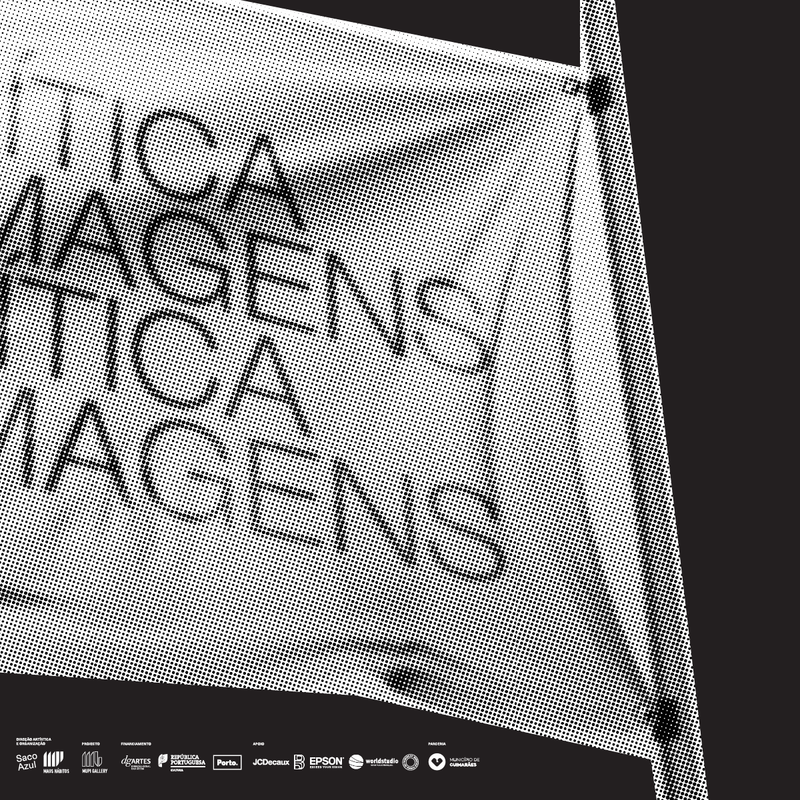 The identity of the exhibition uses, as its central piece, the all-political and meaningful imagetic icon of the flag. 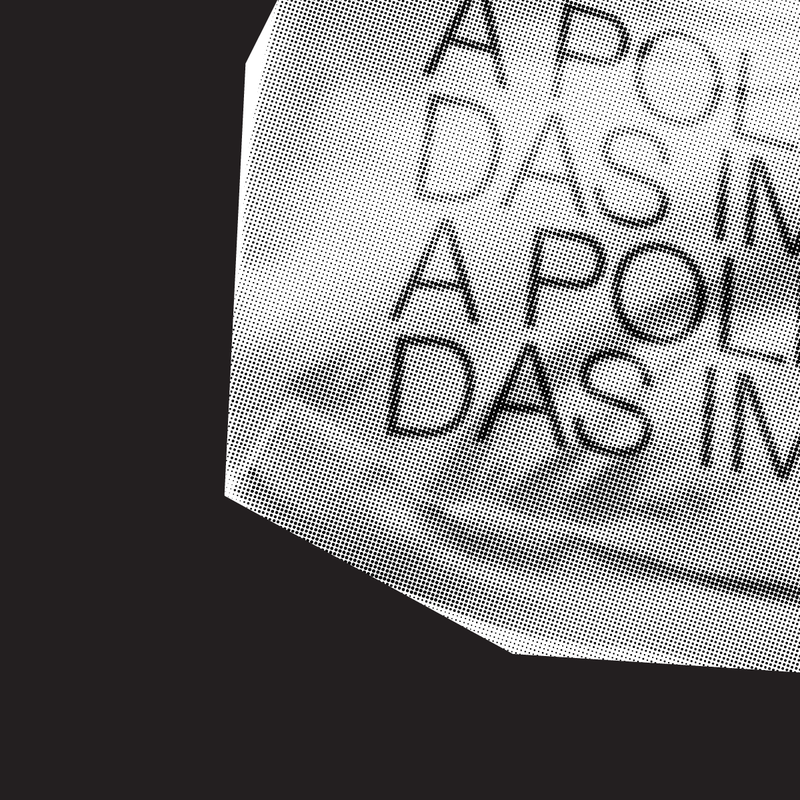 Used to mark property, to represent ideals, utopias, worshipped, beloved, and sometimes, radicalised. 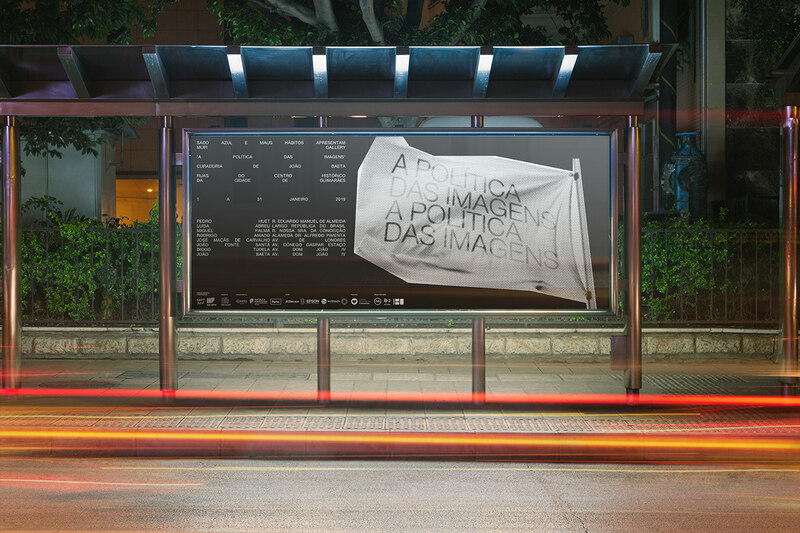 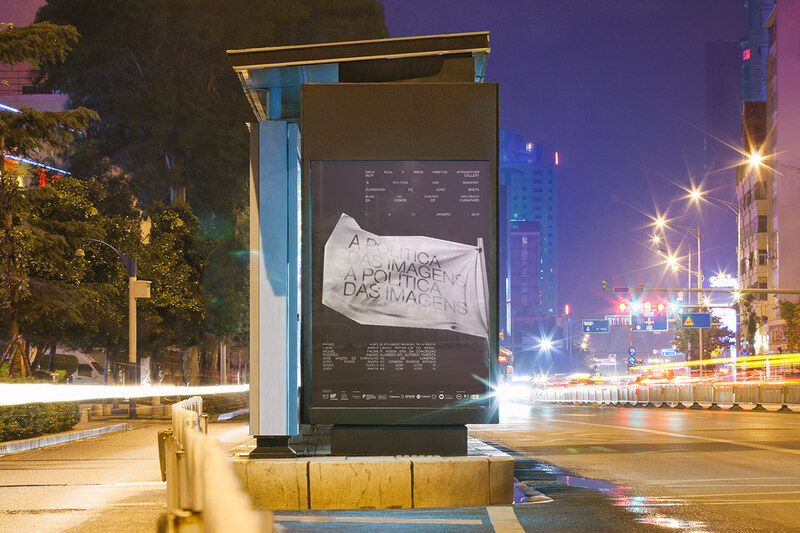 The flag is treated as a pop-icon, as a canvas for the thematic description of the exhibition.